This is a BIG hit and it is SO SO SIMPLE... You will LOVE this I need to make up a bunch, like several meals worth to have on hand. 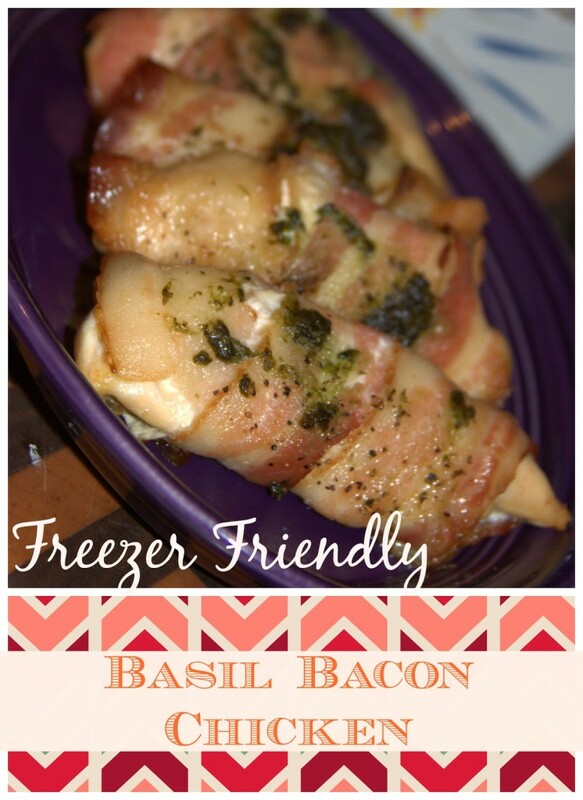 Take your chicken tenders (frozen even works), wrap a piece of bacon around each tender. 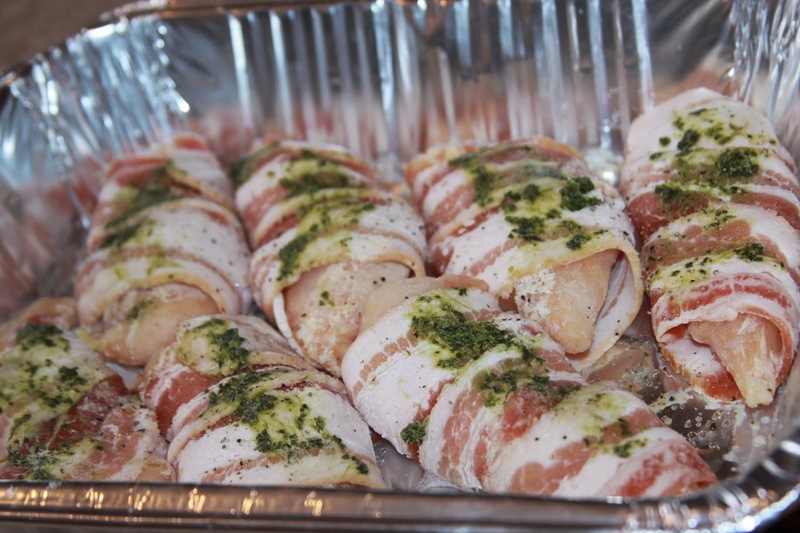 Then place the wrapped tender in a freezer safe container. 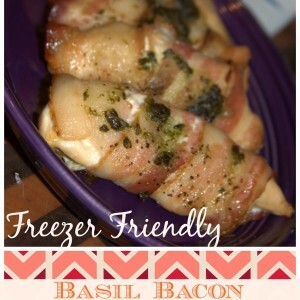 After you have one layer mix your basil with a little oil and brush over the tenders. Then add a little salt and pepper on top. 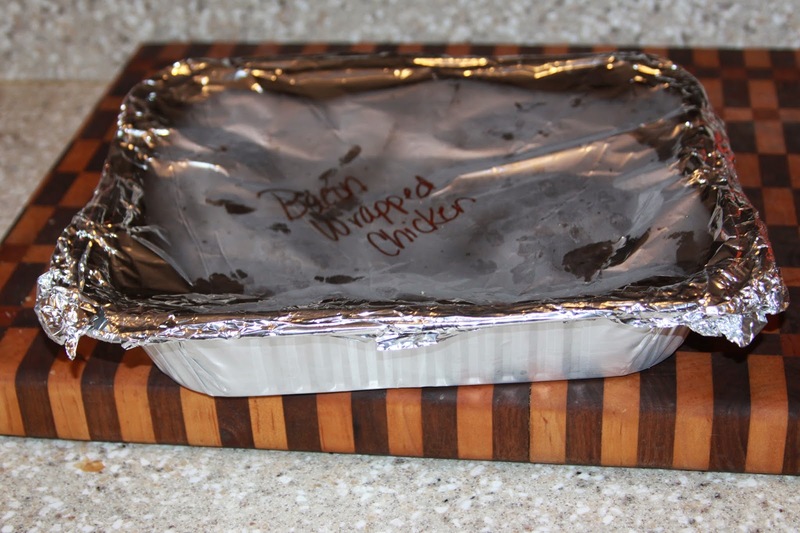 If making more than one layer just place a piece of wax paper over the tenders and repeat with another layer. Cover and Freeze. 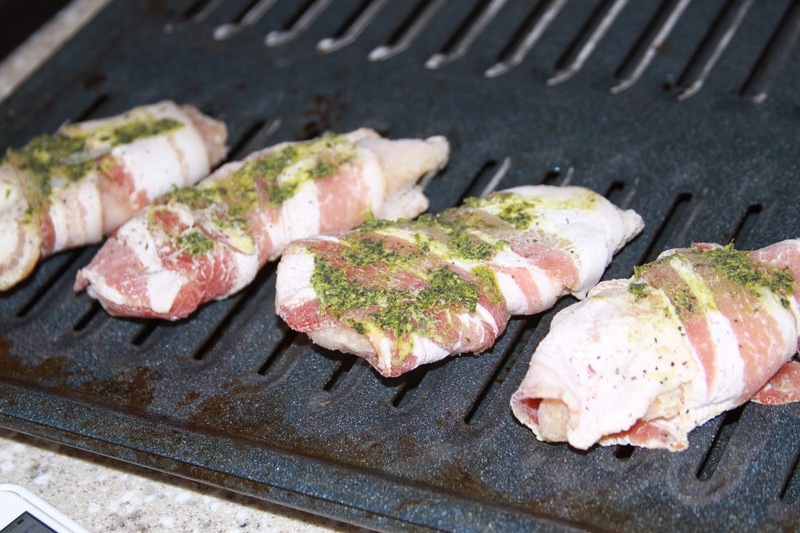 When you are ready to cook, you can bake thawed or frozen tenders for 20-30 minutes at 350 degrees then broil for additional 2-3 minutes to brown the bacon. 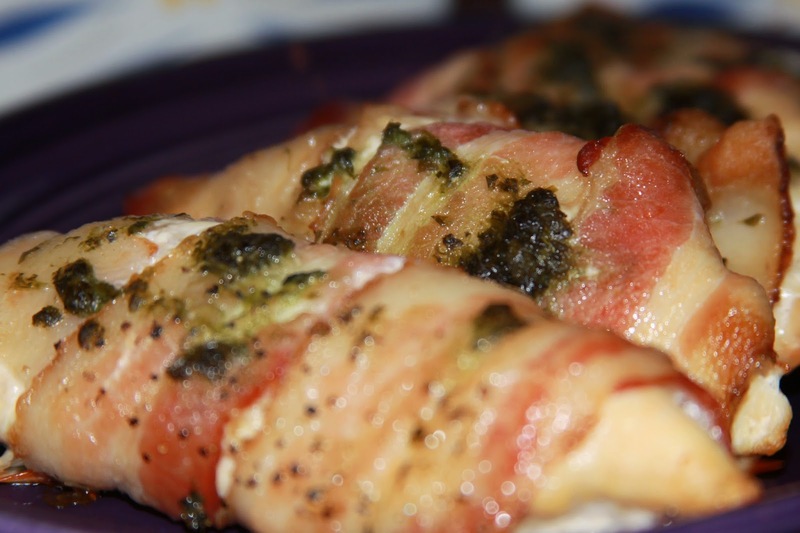 You can also cook them on the stove over medium heat.